Each month our members get an assignment to shoot. Each member shoots an image matching that month's theme and submits it to the club's email address (​ [email protected] ) a week before the meeting date. Images may be taken up to 90 days in advance of that month's meeting. The assignment images are compiled into a gallery, put on our website and our Facebook page; then members are asked to vote via email on their favorite image. The winner is announced the following week at the monthly meeting and will receive a free 16x20 print from Digital Pro Lab in San Antonio. The winning image is displayed on our home page until the next month. At the meeting, we view the images on a projection screen. Each photographer may offer their thoughts on their artistic process and get feedback and constructive criticism from the other members. Members are also invited to submit up to two additional images: one in color and one in black and white. These may be from your archives and do not need to match the monthly assignment theme (though they can if you like). 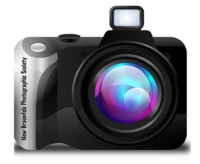 All images will be presented at our monthly meeting where you will have a chance to get feedback on your image(s) as well as provide your thoughts on others' image(s). At the end of the year, all of the winning images from each month will be voted upon and a Photo of the Year will be chosen. The yearly winner will have their dues paid and have their image displayed on our home page for the following year. A week before the meeting, the current month's Assignment photos will be due. If you wish to submit photos for review at our next meeting, please send them via email to ​​​​​​​[email protected]. You may send in one image for the assignment theme and it must have been taken within the last 90 days. ​You may submit an additional color photo and an additional black and white photo from your archives and neither have to be related to the theme (though they certainly can if you like). Attach your images to the email, do not insert them in the email. Your images must be in JPEG format. No watermarks (we vote anonymously). Image size should preferably be a minimum of 1440 pixels on the longest side. The print resolution should preferably be set at 72 ppi. After submission, Assignment, Black and White, and Color images will be uploaded to our website into separate galleries. The Assignment images will also be shared on our Facebook page and Meetup site. An email will be sent out with a link to the images requesting your vote on the Assignment images only. Assignment images will be displayed with a number and title so that you will not know which photographer gets your vote. Send your vote to [email protected] with the number of the photo for which you are voting. Please do not vote for your own picture; any vote cast for your own photo will be disqualified. Members votes will be compiled and the winning photo will be announced at the meeting and posted on the homepage until the next monthly meeting. After the winner is announced, all photographers' name will be added to the assignment images on the website gallery. Members may also post additional photos on the club's Facebook Page.